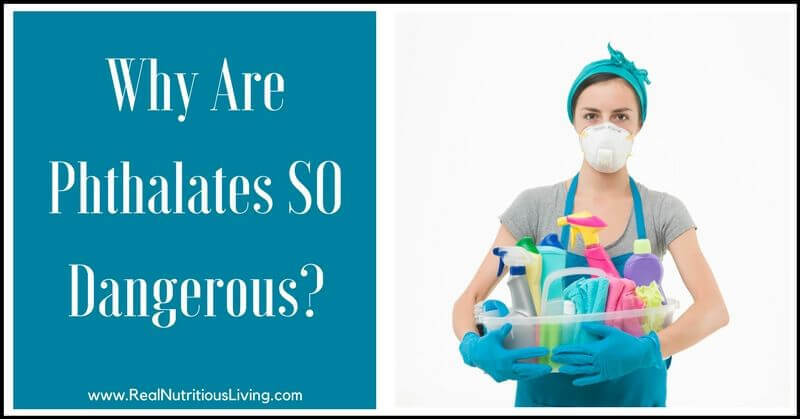 Are you concerned about phthalates? Learn why phthalates are so dangerous and how they can pose a danger to you and your family. What are phthalates and why are phthalates so dangerous? Phthalates are a group of chemicals used to soften and increase the flexibility of plastic and vinyl. They are used to make plastics flexible and as lubricants in cosmetics. They have been used commercially since the 1920s and more than 18 billion pounds are produced and used globally each year. They’re potent hormone disruptors. They can alter the reproductive development of male infants and are associated with sperm damage in adult men. Children exposed to phthalates in early life can undergo behavioral changes and develop allergies. They are also linked to are linked to early puberty in girls and other reproductive harms. Phthalates are linked to breast and other cancers. They are linked to metabolic syndrome, a syndrome marked by a set of abnormalities of blood pressure, blood sugar, cholesterol, and waistline that raises the risk of full-blown diabetes, heart attack, and stroke. According to tests done by the Centers for Disease Control and Prevention, most Americans have metabolites of multiple phthalates in their urine. Where can phthalates be found? Phthalates are commonly found in plastic food and beverage containers. Almost anything that contains fragrance, from shampoo (personal care products) to air fresheners to laundry detergent. They are also found in nail polish, toys, carpet and other flooring, shower curtains, dashboards and medical devices. They are also found in our food and water. It’s not completely clear how it is getting into our meat and dairy products, but one possibility is the tubing used to milk the cows. Since our water is contaminated from industrial wastes and pesticides, it’s wise to use a Berkey filter, and it makes sense that it’s finding its way into our animals, hiding out in their fat cells and we’re consuming them. Of course, we also package and store our meat, milk, and butter in plastics containing the toxin as well. Furthermore, FDA rules allow phthalates in foods as “indirect additives,” such as accidental contaminants transmitted via food processing and packaging materials. Manufacturers could also add them directly to food, under rules that allow food companies to determine for themselves whether an additive is safe. Why are phthalates used in personal care products? They are widely used in personal care products to moisturize and soften skin, to dissolve and homogenize ingredients, and to impart flexibility to nail polish after it dries. They are used to soften the stiffness of hairsprays and are also used as a solvent and fixative in fragrances. How do I know if phthalates are in my shampoo? **Fragrances or parfums are typically synonymous with phthalates, but manufacturers aren’t required to list the actual ingredients in fragrances because they’re considered proprietary formulas sacred to manufacturers. One single fragrance can contain dozens or more ingredients, many of them phthalate-based. Click here to learn How to Avoid Phthalates. 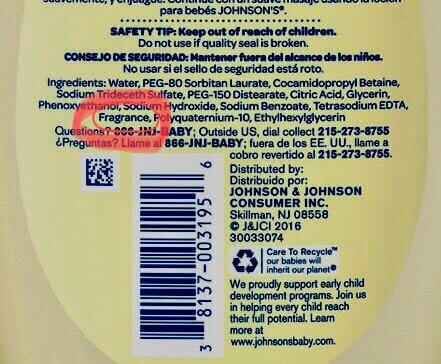 Do you check ingredients labels for phthalates? Were you surprised with what you found? Please tell me in the comments below! Yep! I do my best to make sure they’re not in our home and going onto our body. It’s really hard in this day and age, but thankfully there are some things we can do like you listed. So true Emily! We just do our best! I remember when I first stated learning about these. It is so maddening that things we KNOW are harmful to us and our planet are allowed to be used in EVERYTHING. We have to be SO vigilant to reduce our exposure to so much nasty stuff! It’s so true. The great part is once we find something safe, we only have to make that switch once! Thanks for this information! It’s so insane how many toxic chemicals are in our everyday products. It is scary, but so good to know so we can do something about it! We do our best to have all natural products in our house, especially avoiding anything with ‘fragrance’ because it’s so ambiguous! This is such an important post and I’m so happy you talked about it. It’s unbelievable how dangerous hormone distributors are and the scary part is that side effects happen over time and slowly build up. Well thank you Daniela! I am so glad you are in the know! I find this topic so scary, but you are right, once we know we can do our best to avoid! It’s crazy how much garbage is in our food and personal care products! So sad and scary. It’s crazy and 100% unnacceptable! Mind blowing that our government doesn’t protect us, that companies can use these harmful chemicals in household goods! Thank you for the informative post! It’s so scary! You’re welcome Cristina! Being aware of the dangers of phthalates and where those dangers are lurking is such important information to know. Thanks for sharing! Slowly.. people are awakening.. Thanks again! Agree with every word Carol! And of course, I love your message! Wow ! Very good to know about this. Thanks for the explanation now I will pay more attention to this. 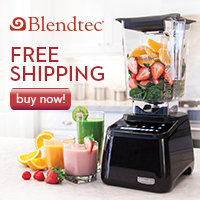 The next thing is to figure out where to find the replacement products that are better for us ! It’s the post right after this one! I’ve got you covered! Gret info. Thanks for sharing. It’s crazy how much crap is put in the products we use. You’re welcome! Yes, and once we know better, we can do better!